Do you dream of turning your life around? Do you wish to be rich, to start your own business or maybe to travel the world? If so, a lottery can help you accomplish what you really desire in life. In order to make the most of it, however, you’ll need to be a strategic player. 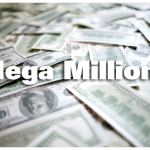 EuroJackpot is probably one of the most popular and biggest lotteries in the world. 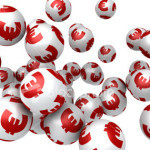 With a starting jackpot of 10 million euro and a two-dollar ticket buying fee, EuroJackpot appeals to many on the Old Continent, as well as in other parts of the world. Winning EuroJackpot shouldn’t be just about luck. 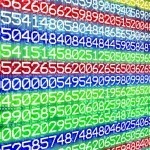 Instead, you can employ a much more effective strategy for the selection of the right numbers. This strategy should be based on historical analysis and statistics focusing on the hot and the cold EuroJackpot numbers. Every lottery out there has its set of hot numbers. These are the digits that get drawn among the winning ones much more often than others. As a general statistical principle, all numbers in the pool have equal odds of being drawn. In reality, however, things don’t really stand like this. According to the official EuroJackpot website, the number 40 is the hottest one in the entire history of the game. It has been drawn among the winning ones a total of 40 times (isn’t that symbolic?). The top five of the hottest numbers is completed by 19 (drawn 39 times), 1 (drawn 38 times), 10 (also drawn 38 times) and 7 (yet another number that has made its appearance among the winning ones 38 times). 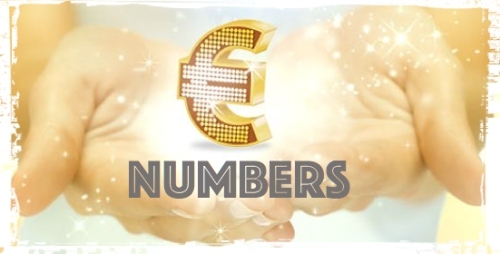 Apart from the main numbers, EuroJackpot has two supplementary numbers drawn in the pool from 1 to 10. The hottest supplementary (Euronumbers) numbers are 8 and 5. Both eight and five actually happen to be the hottest one of all numbers because they have been drawn a total of 80 times. On the other end of the spectrum are the cold numbers – the ones that don’t make their appearance among the winning ones too often. According to experienced lottery strategists, cold numbers are the ones you want to skip when making your selection. The most freezing of all EuroJackpot digits is 48. In the history of the game, it has made a presence among the winning numbers solely 20 times. The number 2 (22 times), 36 (23 times) 50 (25 times) and 24 (25 times) follow in the ranking. As far as the supplementary numbers are concerned, the two coldest entries are 10 and nine. The first one has been drawn a total of 23 times, while 9 has appeared among the winning supplementary digits 38 times. If you want to go deeper in the numerical statistics, you can certainly do that. 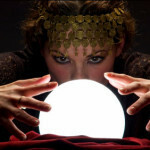 Such an investigation is going to reveal a couple of additional intriguing trends about EuroJackpot. As far as the main five numbers go, recent statistics suggest that they include three odd and two even numbers most of the time. Such combinations have been drawn 111 times since the start of the game. The coldest combination is five odd numbers. This has happened solely five times in the history of EuroJackpot. Five even numbers follows as the second most unlikely combination, being drawn only 12 times. As far as the supplementary numbers are concerned, 53 percent of the draws (164 times) features one odd and one even number as you’ve probably suspected. There have been two supplementary even numbers in 66 drawings and two supplementary odd numbers in 78 drawings. People who are interested in lottery number statistics also track a metric known as the most overdue numbers. These are the numbers that haven’t been drawn in a long, long time. In the case of EuroJackpot, 37 is the most overdue number. The last time it was drawn was 513 days ago – on September 16, 2016. Six occupies the second position because it was last drawn 233 days ago. A few other long overdue EuroJackpot numbers include 31, 27, 39 and 21. If you are interested in such statistics theories and you believe that can improve your odds of winning, you may want to choose a long overdue number that also ranks among the hot ones. Such a number is bound to appear in the winning combination pretty soon. A final fact we’re going to examine is the numbers that have contributed to the biggest number of jackpot wins. The leader in this ranking is 23. This number has helped for the winning of the jackpot seven times. Forty-six and 14 follow with six contributions each. Following are the numbers that have helped for the jackpot to be won four times – 7, 15, 35, 16, 44, 1, 12, 11, 22, 49 and 19. While some of these statistics are a lot of fun, don’t take them way too seriously. The key to improving your odds of winning is coming up with a balanced pool of numbers. Don’t go for just odds or for just evens – we’ve already seen this isn’t a great strategy. You should also scatter your numbers across the board from 1 to 50. Having one-digit numbers and 20s only make up the winning combo doesn’t happen all that often. What In The World Is The Morgan Method For Lottery?